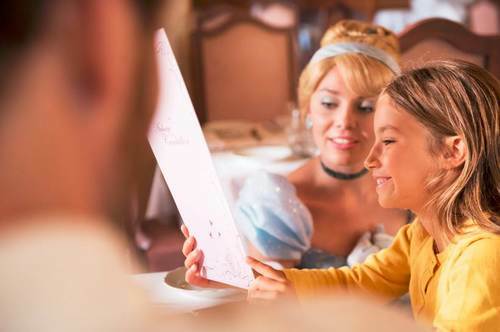 Disneyland Paris announced a limited-time Princess breakfast at Auberge de Cendrillon. This new offering will be available from From February 12 to April 1, 2019 and fits perfectly with the Pirates and Princesses festival. Guests will have the option to choose one of two slots: 8:15am or 9:45am. These slots are available at first come first serve, and the first slot is only available to guests who have Extra Magic Time access. This table service breakfast includes a hot plate of salty delights (scrambled eggs, sausage, salted Mickey waffle, pan-fried vegetables), breads and pastries, an assortment of sweet / savory verrines, as well as a cold drink and a hot drink. And of course guests will be able to meet their favorite Disney princesses.